My husband went on a trip to see his family this past week. My son and I were left to “fend for ourselves”. In the interest of “fending” we decided to make a dish with celery as the main flavor. My Jim does not like celery…..we do. I remembered a dish I made many years ago with celery and onions sauteed and combined with a creamy sauce of blended cottage cheese and yogurt. It was very good. It has lots of celery so it isn’t on the menu anymore. Let the “fending” begin…. I used red onions with the celery, but any will kind do. I also added garlic chives (Chinese chives). You can add dried or fresh dill as well. Don’t be dissuaded by tasting the constituents alone. 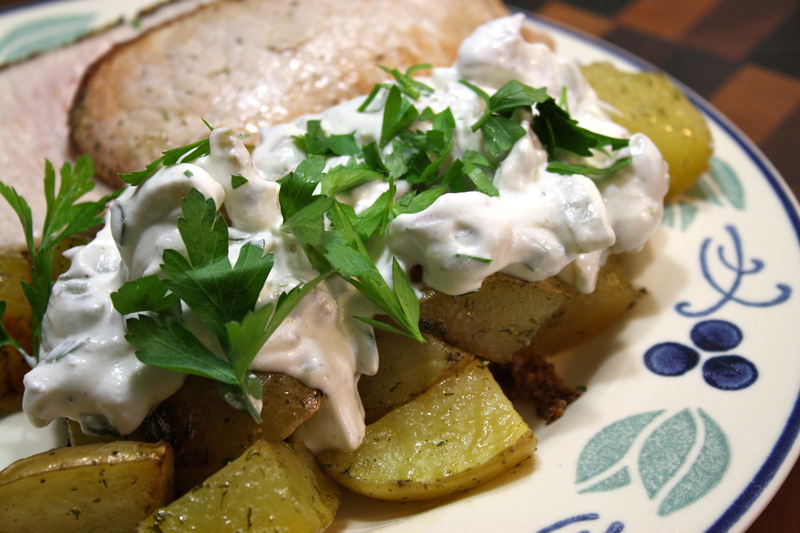 Its when you combine the saute with the creamed dairy that this dish sings it’s song. A very fast dish…ready in less than 30 minutes. Low in fat, high in fiber….tastes great! Wonderful over pasta, rice, potatoes, other vegetables (steamed greens, artichokes, asparagus, broccoli), over fresh summer tomatoes is one of my favorites. Place a medium size skillet over medium heat. Add oil and butter, once melted, immediately add celery and onion. 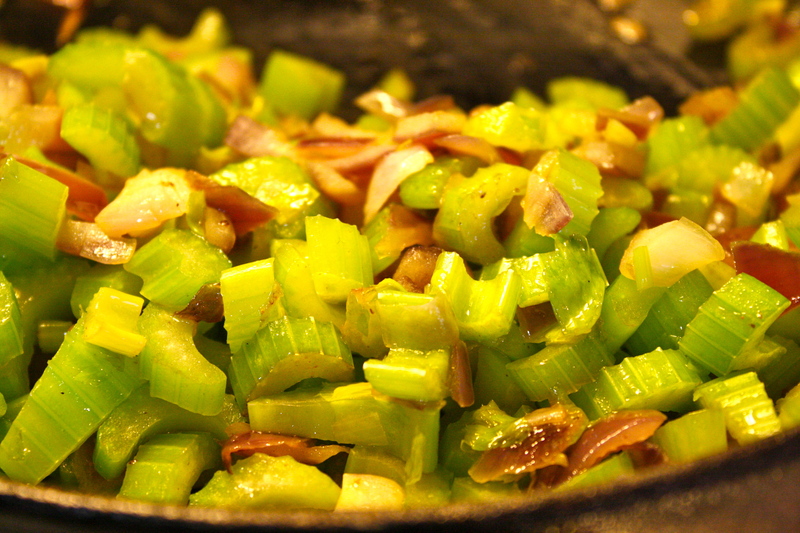 Saute until onion is soft and celery is tender. Remove from heat. Stir in lemon juice and chives. Allow to cool slightly. Stir together celery saute and yogurt sauce. Taste and adjust seasonings. Serve over pasta or vegetables of your choice. 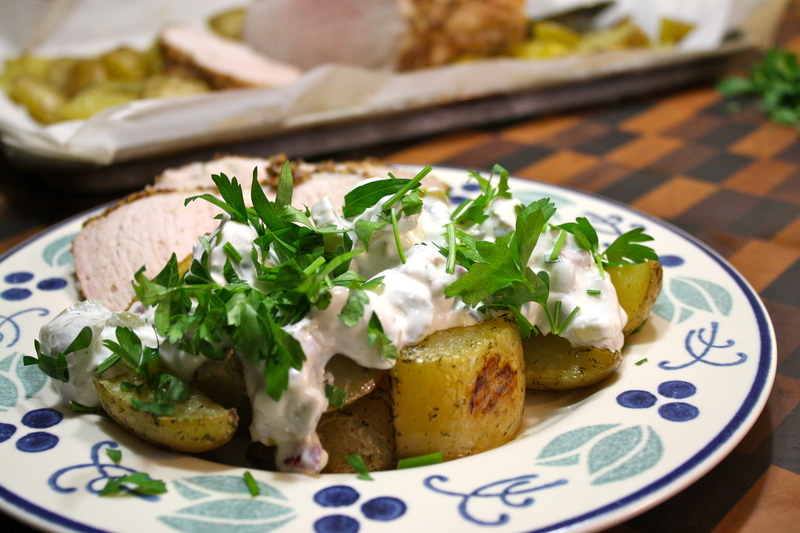 Top with fresh herbs. Enjoy! That’s just gorgeous. I always get a kick out of my grandmother’s cookbooks; they have multiple recipes for celery. You hardly see it used today except in a supporting role. Maybe ants on a log…. The flavor is a backbone to many great dishes. A part of the trifecta of cajun flavor. I wouldn’t dream of making a gravy without it….husband or not!